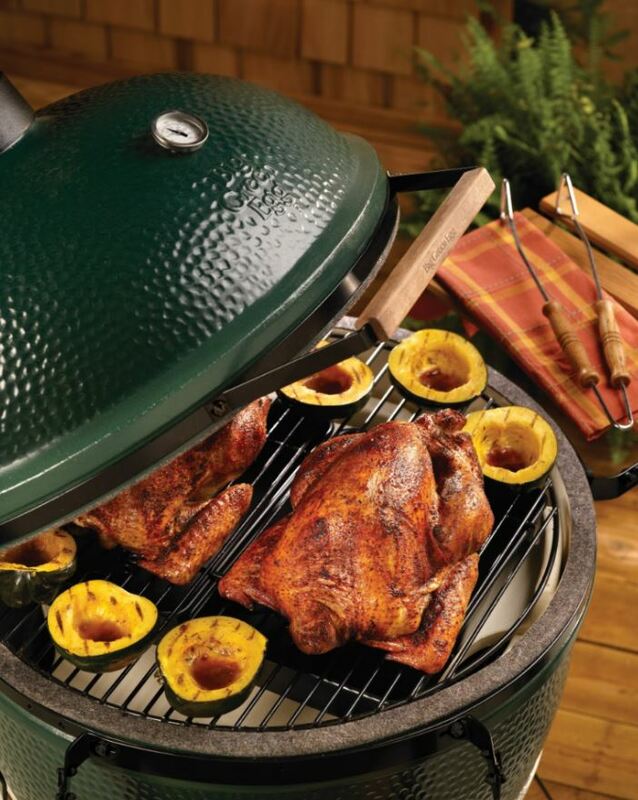 Thanksgiving is fast approaching and many want to know how to cook their Thanksgiving Turkey on the Big Green Egg. For those interested in a personal demonstration, join us at the Towne Centre at Seascape Resort in Miramar Beach on Saturday, Nov. 18, 2017 at 3 p.m. for a complimentary Big Green Egg cooking demonstration. Grill Master Wayne will cover Big Green Egg Turkey Prep 101, including tips, tricks and tools to make your Thanksgiving Turkey the most juicy and flavorful. Come for the tips and stay for free beer tasting event at Seascape Wine & Spirits (3-6 pm). Click here for more details. There are many options for cooking your bird on the Big Green Egg, and they are all equally delicious. Wayne will cover basic questions including: To brine or not to brine? How do you control cooking temperature? How do you plan cook time based on the size of your turkey? How do you know when the turkey is done and the best time to pull it off the Egg? What Eggcessories help to make cooking effortless? From the flavor injector and turkey roaster to roast rack and thermometer, Grill Master Wayne will cover cooking tools, temperature and taste to ensure your holiday meal is one to remember. Want immediate answers? Click here for the Big Green Egg Thanksgiving Turkey tips, recipes for brineing, injecting and roasting, side dish recipes and the all-important “turkey cheat sheet” with cooking temperatures and cook times for each size turkey. Don’t have a Big Green Egg? There are lots of ways to cook your turkey outdoors. The Hearth, Patio & Barbecue Association is an advocate of cooking outside and has prepared a variety of tips on Thanksgiving meal prep, including food safety, cooking temps, frying, carving and more. So whether you join us for a personal demonstration or do your homework online, we know you’ll love the results of cooking your Thanksgiving turkey on the Big Green Egg, smoker or grill. Interested in purchasing a Big Green Egg? View Big Green Egg sizes online or visit us at our store in Miramar Beach, 1 mile west of Silver Sands Premium Outlets and across from Seascape Resort. For more info, call 850-269-4666.